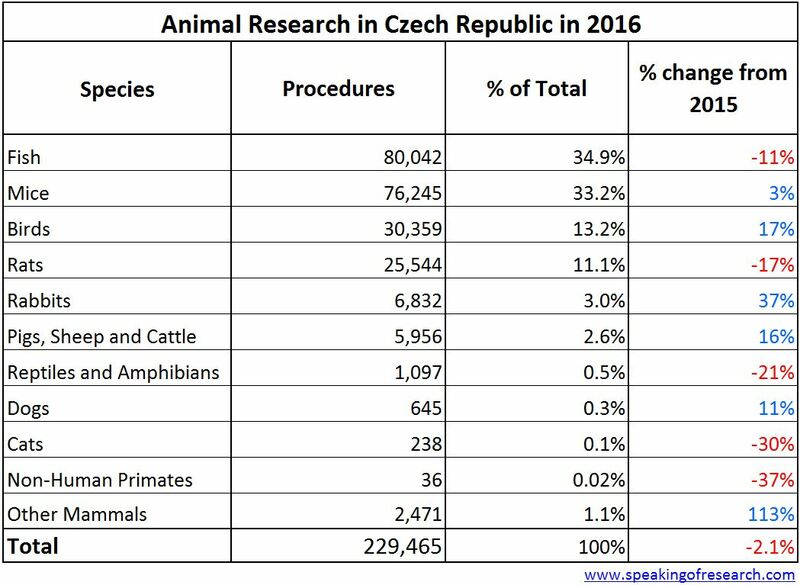 The Czech Republic has reported a 2.1% fall in the number of animal research procedures in 2016, with 229,465 procedures on animals. This is down from 234,366 procedures in 2015. The falls were mainly in fish (down 11%) and rats (down 17%), while the biggest rise was in birds (up 17%). The most common areas of research were “basic research” (35.4%), “Conservation of the natural environment in the interests of the health or welfare of people or animals” (21.0%) and “Translational and applied research” (11.4%). 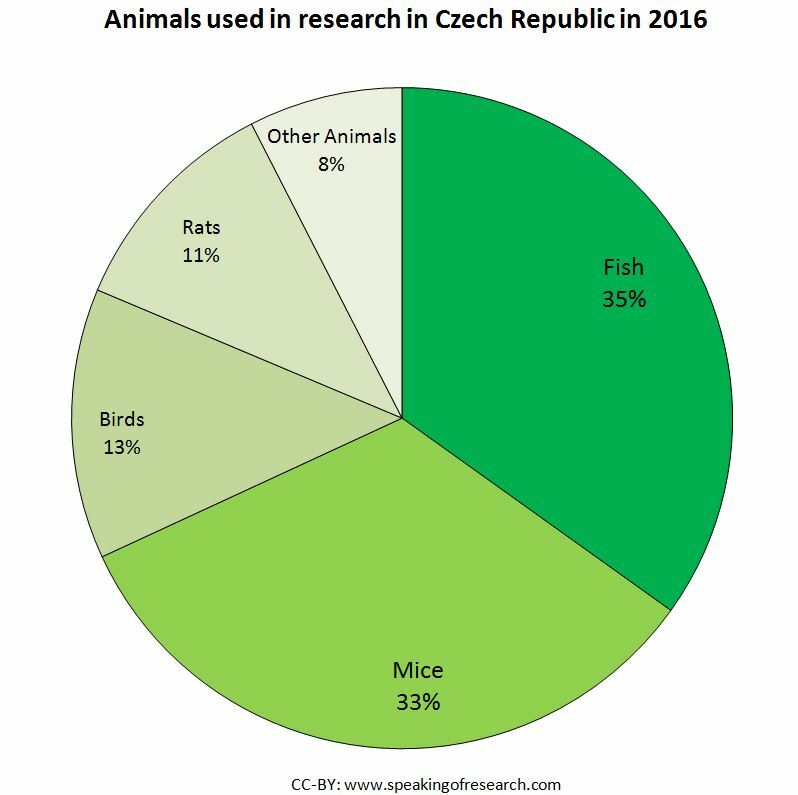 The trend in animal experiments in the Czech Republic. Click to Enlarge. The number of animals used since 2013 has remained quite flat, at around 230,000 procedures, though it is not immediately clear why. The drop since 2012 may be a result of the new reporting criteria brought about by EU Directive 2010/63, which came into force in 2014 (though some countries implemented new counting procedures before then). 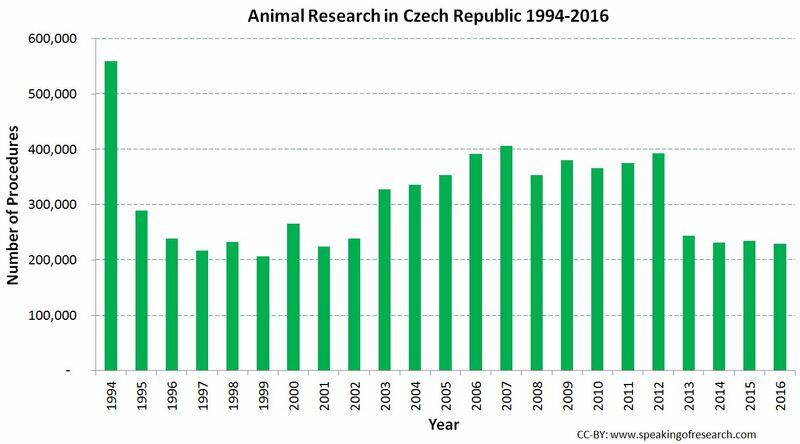 Posted on May 8, 2017 by EditorPosted in News, StatisticsTagged 2016, Czech, czech republic, number of animals, Statistics.